#32. 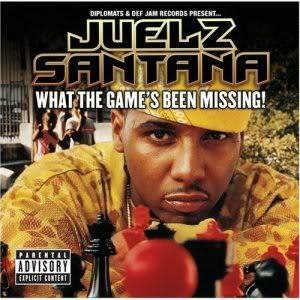 Juelz Santana f/ Cam'ron "Murda Murda"
Plucking a hook from the same Ini Kamoze snippet Damian Marley sampled on "Welcome to Jamrock," this track shows Juelz at his most unhinged and aggro. "I'm Scarface, coked up/You know what?/I think I need another hit," he seethes over a G-funk synth whine. Then Cam drops by for one of those gnarly descents into absurdist assonance. Killa, killa, more killing, killing for Killa Killa!